Radio image of Fornax A, an iconic radio galaxy with extended lobes (orange). 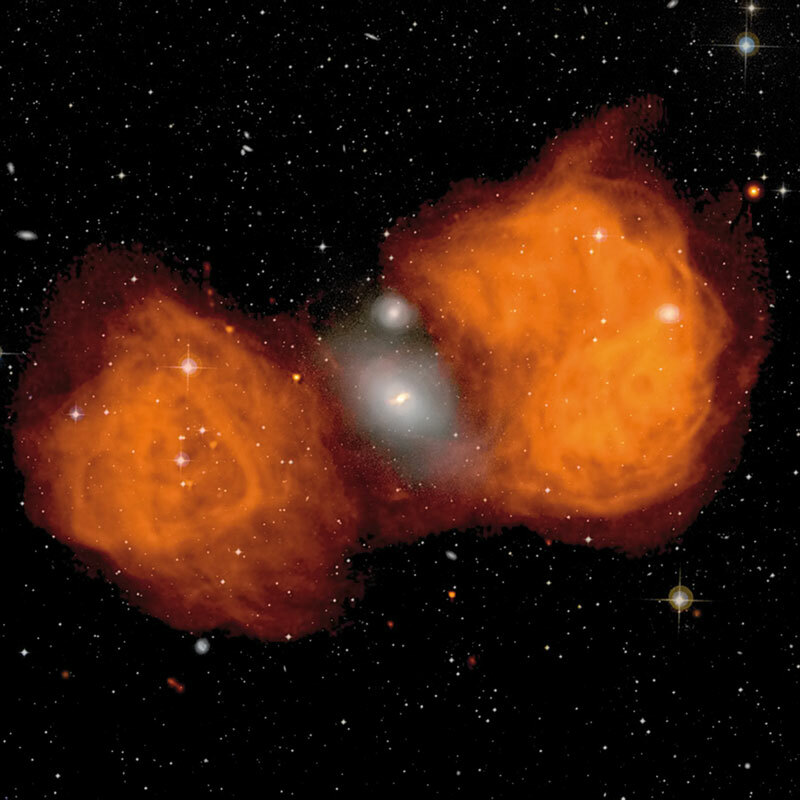 The grey region between the lobes is stellar light from the much smaller host galaxy. Fomalont et al. 1989, Astrophysical Journal Letters, 346, 17. The discovery of powerful jets from a nearby black hole reveals new clues about the behaviour of massive quasars in the early universe. Roberto Soria is a research fellow at University College London’s Mullard Space Science Laboratory, and will join the Curtin Institute of Radio Astronomy in Perth this year.